Get an Instant Quote Today from The Insurance store of Connecticut. Memorial Day – Labor Day: We will close at 1:00 pm on Fridays. Meet the Staff. See what sets us apart from other Connecticut Insurance Agencies. Welcome! The Insurance Store of Connecticut offers a complete line of property & casualty insurance. We offer Auto Insurance, Homeowners Insurance, Pet Insurance, Life & Health Insurance, Small Business Insurance, General Liability Insurance, Motorcycle Insurance, RV Insurance, Boat Insurance and Commercial Auto Insurance. We work with a variety of carriers to ensure you have the best coverage at the lowest rates available in Connecticut. In addition, we provide personalized, professional customer service that you won’t find with the giant insurance companies. Thank You for visiting us online, we look forward to assisting you with your insurance needs soon! 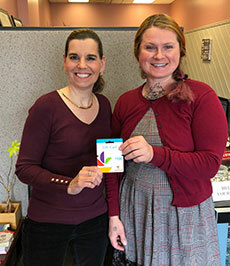 The March 2019 winner of the referral program – Shawna G. from Stafford, CT– $100 Stop & Shop gift card! You could be next.